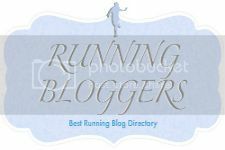 Robyn at Ultra and Beyond linked me to your blog cause I'm running Pineland this year. Your blog is awesome! What a great attitude you have. I'm looking forward to following your progress! Thanks for the comment. Pineland was a blast. It was my first 50K and I'm trying to get up there and do it again this year. We'll see if the schedule works. If you can, get out there for Saturday to either participate or hang out for the Saturday races. Fun time. I'm pretty sure Jason Robillard will be there for a clinic this year again on Saturday. He's a great teacher and it's worth catching his clinic. Thanks for the twitter follow too by the way. I’ve taken a look through your website and we think you’ve done a fantastic job in covering topics that our brand's audience, those interested in fashion, shoes, and fitness shoe and product reviews, would be interested in reading. It would be great if you could join our community to feature your blog entries. I am glad that the shoes met your expectations. I can imagine how excited you were to be able to try them out before they became available to the general public. I've tested food products and it's always nice to be able to give your input and make a product better. Nicely done review, durtyfeets. I've had a isolated incedence of weird rubbing while wearing the Trail Glove too. I think "wearing a glove" can sometimes lead to nasty blisters..